I worked as an esthetician in a five-star hotel spa for several years, so I catered to the faces of everyone from locals to vacationers to A-list celebrities. Aside from pampering my clientele—and occasionally serving as a unofficial therapist—perhaps one of the most rewarding aspects of my career was providing knowledge. 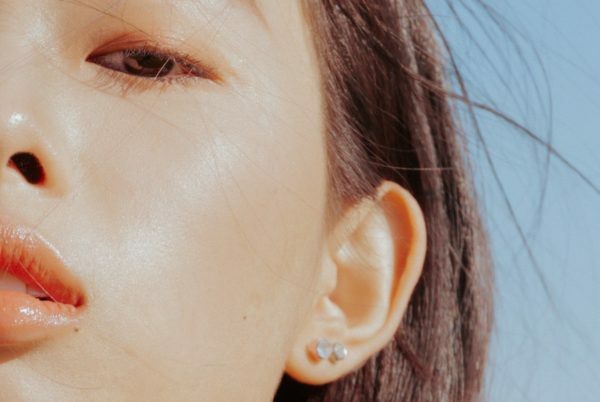 Like other industries, the beauty world has become oversaturated with flashy images of influencers, expensive advertising, and claims galore, which can make it difficult to decipher the basics—like moisturizing, for example. This fundamental action may seem self-explanatory, but in reality, it can make or break the appearance of your complexion if over-utilized, underutilized, applied incorrectly, or forgotten all together—you’d be surprised how many people told me they don’t moisturize. Sound familiar? Step inside my virtual treatment room and I’ll help explain why you should never skip this crucial step. Why is moisturizing so important? Moisturizing your skin is about more than just providing hydration. It’s also about keeping the skin balanced so that other skin issues don’t erupt, whether that means acne, a lackluster complexion, inflammation, excessive dryness, or anything else in between. Yes, even those with oily skin need to moisturize as completely stripping the face of natural oils will only cause the skin to overcompensate by producing even more oil! Do I really need a different moisturizer for day versus night? Yes—and not because of sneaky marketing tactics. Daytime moisturizers are a lighter consistency and meant to hydrate and protect. Night creams contain more results-driven ingredients like nourishing oils to give you a fresh and revived look come sunrise. Nighttime is also an effective period to apply a moisturizer because when you reach REM sleep mode, your body works to regrow tissues, increase cell turnover, build bone and muscle, and strengthen your immune system. The combination of these actions makes your skin more receptive to product. According to doctors, sleep is the single best thing you can do for your skin—lack of it is actually connected to rapid aging. Not to mention, ample shuteye has anti-inflammatory benefits that can help protect against free radicals (think sun, smoke, pollution) during the daytime hours. How do I know which moisturizer is right for me? Choosing the right moisturizer can be confusing, but it all comes down to a combination of your skin type, the environment in which you live (desert versus city versus mountains, etc. ), potential internal disruptions (illness, hormones, medication), and any specific goals and/or concerns you may have. All of the aforementioned factors should be considered when choosing product and keep in mind that it’s not uncommon to have to change up your moisturizer with the seasons, climate, lifestyle, and age. Normal: Smooth, fine pores, no visible signs of oil, blemishes, or flakiness. This skin type is typically found in younger individuals. Dry: This skin type lacks oil/lipids, so common side effects include flaking, tightness, prominent fine lines and wrinkles, and dullness. More severe cases can lead to fissures, cracking, itching, and even broken skin and raised bumps. While environment and medications can play a role in this skin type, dry skin is also a natural part of the aging process since sebum production slows down. Oily: Overactive sebaceous glands are responsible for an oily complexion which means you have a shiny T-zone by mid-day and may experience large pores and impurities—which could lead to more severe cases of acne if not properly controlled. Combination: As the name suggests, this skin type is a blend of two—typically an oily T-zone and drier cheeks. Sensitive: If even the thought of choosing a moisturizer to cocoon your sensitive skin makes you turn red and irritated, I hear you. Unlike the black and white comparison between oily and dry, sensitive can be either or—even a confusing mix of the two! To be clear, when your skin is sensitized, it can react to products or the environment by way or burning, stinging, redness, and tightness that very well could be coupled with small bumps or other signs of irritation. Choosing to moisturize is one thing, doing it correctly is another. Once you’ve committed to hydrating your complexion on the daily, avoid these common mistakes in an effort to reap optimal benefits. I can’t express enough just how important it is to choose the correct formula in an effort to avoid clogged pores, irritation, breakouts, dryness, or dehydration. It’s easy to get into autopilot mode with your regimen, but do take time to address the current needs of your skin. No matter what skin type you have, opting for an oil-based moisturizer is the secret to balancing both overly dry or overly oily skin. Educate yourself on which carrier oils work best with each individual skin type. For example: grapeseed for oily/combination, jojoba for dry, coconut oil for anti-aging, avocado oil for mature, hazelnut oil for oily, olive oil for balance, and sunflower seed for all types. Just like you wouldn’t want to set your kitchen table on a pile full of crumbs, don’t apply a moisturizer on uncleansed skin. Rather, thoroughly cleanse your face and apply a generous amount of product to a moist face. Without following the proper steps in your skin care routine, you run the risk of lack of mixing bacteria-laden impurities, dead skin, and superfluous oil with all of the all of the hydrating benefits of your moisturizer. When clients used to tell me they feel their moisturizer “stopped working,” one of the first questions I ask is whether or not they exfoliate, what method they’re using, and how often they’re doing it. While the skin naturally overturns skin cells approximately every 30 days, some cells don’t fully shed, which can lead to flakiness, dry patches, and clogged pores. When this happens, your moisturizer won’t be able to penetrate the skin, so you won’t be reaping the benefits. Make sure you’re using some form of exfoliant (gommage, non-abrasive scrub, enzyme mask, etc.) at least two to three times if you have normal to oily skin and once a week for overly dry or sensitive skin. Just be careful not to over-exfoliate as this can cause irritation and inflammation. If you're new to moisturizing, our Kaolin Micro Exfoliant is a great place to start! Regardless of what type of night cream you’re using, I am a big advocate of wearing a moisturizer with SPF during the day (there are several natural brands on the market) in an effort to care for your skin with natural defenses and promote ageless beauty. However, this is all the more important if you are getting peels or using a retinol or glycolic-based product as those ingredients make your skin more sun sensitive. Many people think their moisturizer needs to be completely rubbed in, but that’s not the case. Too much manipulation of your skin can disrupt the natural barrier, thus leading to infection and/or inflammation. Instead, lightly massage the product into the skin to increase circulation, which in turn can help with the absorption of the product. If you wear cosmetics of any kind, wait a few minutes before application to ensure your moisturizer has set. While the moisturizer you choose goes hand-in-hand with your skin type and lifestyle, there are some additional measures you can take to keep your skin supple and balanced. For example, drinking approximately two liters of water daily, limiting your intake of coffee and alcohol, incorporating moisture-promoting foods into your diet (think salmon, avocados, and olive oil), avoiding overly-harsh products that are heavy on alcohol and/or chemicals, and always remembering to moisturizer after cleansing, bathing, and swimming. While it may seem like a lot to remember for simply one product, the sooner you commit to a solid routine, the faster you’ll see the results. There’s no one-size-fits-all approach to moisturizing, so make sure you’re choosing the right formula to suit your needs. How has moisturizing helped your skin? Opening up the comments for discussion.